A local court in Belgium’s Limburg province has given 6-month jail time plus 600 euros fine to a 37-year-old man who threatened Gulen supporters online. 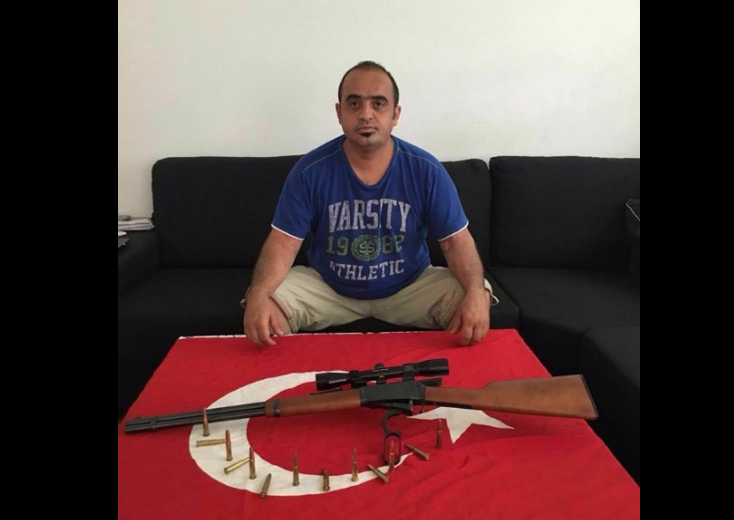 “Come on, traitors, I’m waiting for you,” the man sent threats, via Facebook messages, to members of the Vuslat, an association affiliated with the Gulen movement supporters in Belgium, a day after the July 15, 2016 failed coup. Meanwhile, he posted a picture of him posing alongside a firearm, Turkish flag and some ammunition. The prison sentence was postponed while he is required to pay 600 euros as well as hearing costs, Brussels-based Het Laatste Nieuws said March 22. Turkish government blames the Gulen movement for the July 15, 2016 failed attempt while the latter denies involvement. More than 150,000 people have been detained over Gulen links so far.